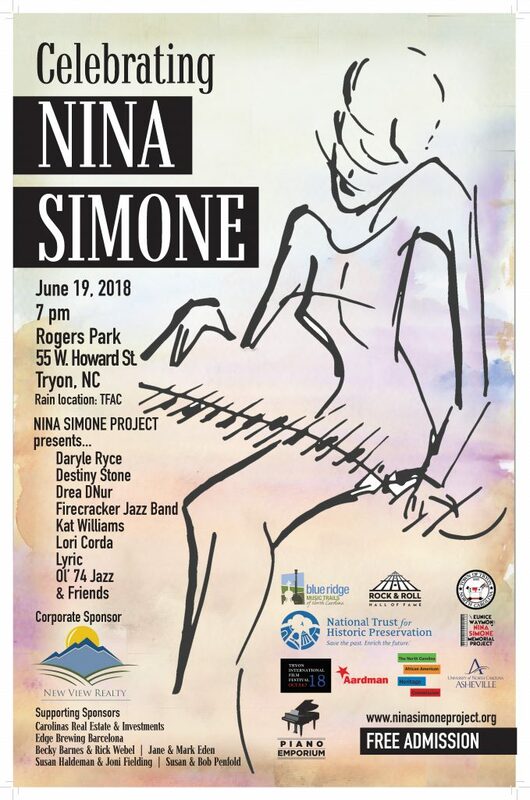 The Eunice Waymon—Nina Simone Memorial Project (NSP) exists to honor the remarkable life and legacy of a native Tryon, North Carolina daughter, who achieved international recognition for her unique talent and her formidable contribution to the musical arts. The musical talent of Eunice Waymon, who was born in 1933, evidenced itself early on. By age 4 she had begun to play piano; by age 7, she had begun to play organ as well—each of which she did for St. Luke’s C.M.E. Church. Waymon’s formal musical training began shortly thereafter under the tutelage of Muriel Mazzanovich, wife of noted artist Lawrence Mazzanovich. That Waymon possessed a prodigious talent was recognized by many, so much so, that enthusiastic Tryonites created ‘The Eunice Waymon Fund’ to help underwrite the costs of her future studies. Those studies continued with Carl Friedberg at the Juilliard School of Music in New York City, and with Vladimer Sokoloff of the Curtis Institute of Music in Philadelphia. Waymon’s professional career, as Nina Simone, began in 1954. Her unique musical style merged a strong classical training with an exceptionally broad range of musical genres, which run the gamut from classical, gospel and jazz to pop, folk and spiritual. That Simone asserted a powerful artistic impact upon late-twentieth-century American popular culture is evident in her expansive discography, her musical arrangements and her original compositions. She was and is a powerful musical force in a global theatre. 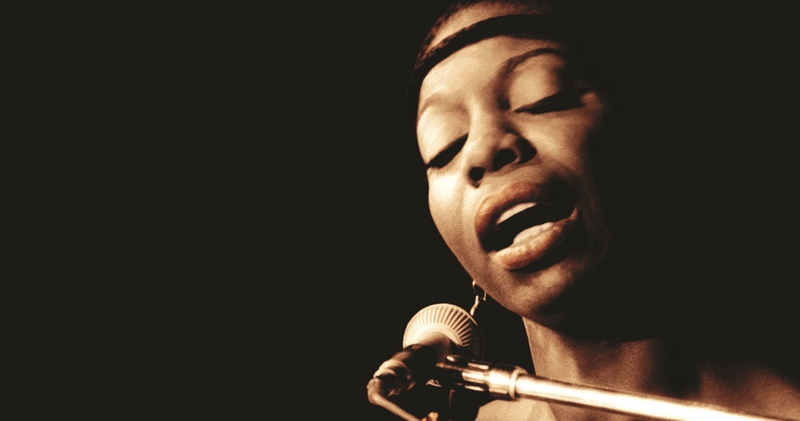 Your participation in the Eunice Waymon—Nina Simone Memorial Project supports the recognition of an international musical legend and an icon of human potential realized. The Eunice Waymon-Nina Simone Memorial Project creates this needs-based, general scholarship program to support both the short- and long-term educational goals of individuals on career paths who demonstrate economic need. Candidates from all academic disciplines are eligible to apply. In order to qualify for funding consideration, candidates must be rising sixth graders. Monies from the Eunice Waymon-Nina Simone Scholarship may be used for both formalized academic study and ancillary cultural enrichment opportunities with an educational emphasis. This scholarship program emulates the 1940s ‘Eunice Waymon Fund,’ informally organized by Waymon’s piano teacher Muriel Mazzanovich and heavily endowed by Tryonites and other Western North Carolina residents to assist young Eunice Waymon with her educational goals. 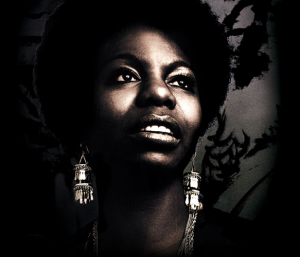 That selfsame civic generosity of spirit gave to the world the talent which became Nina Simone. Your application to this funding program places you in direct line with her. Nina Simone was and is a powerful cultural force in a global theatre; she remains an international musical legend who looms large on the horizon as an icon of human potential realized. Her achievement serves as an inspiration for all who desire to make their mark. Much luck to you as you endeavor to do the same. Warren J. Carson, Ph. D.
The Eunice Waymon-Nina Simone Memorial Project exists to honor the remarkable life, musical legacy and civil rights activism of Nina Simone, and to inspire and support talented youth to reach their full potential. The Eunice Waymon—Nina Simone Memorial Project (NSP) purposes to establish and promote educational scholarship, to commission a Nina Simone sculpture, and to establish an international music festival in Tryon, North Carolina, with supplemental venues in the broader Western North Carolina region. Cancer research in underserved communities, arts programming in public education, prevention of abuse against women, and AIDS research, education, & care.